Smoke control dampers are used in mechanical smoke extract systems and in natural smoke and heat exhaust systems. They are used for extracting smoke gases and for providing additional supply air to one or more fire compartments. The dampers are made of calcium silicate panels and are opened by an encased actuator; when smoke is detected, the actuator is triggered by a signal either from a duct smoke detector or from a fire alarm system. Smoke control dampers have two safety positions: open and closed. 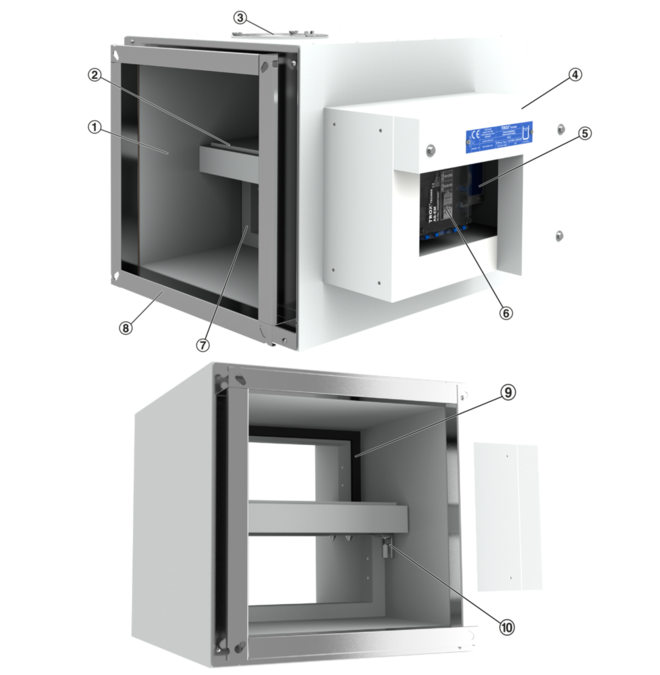 In the case of fire-resistant smoke control dampers for multiple compartments, the safety position is either 'open' or 'closed', depending on the fire site and the path of the smoke to be extracted. If the safety position is 'open', the free area must be maintained even in the event of a fire. According to the specified time-temperature curve, an EK-EU can still fully open or close after 25 minutes (MA, manual release). Regular maintenance of the smoke control damper is required to ensure its functional reliability. 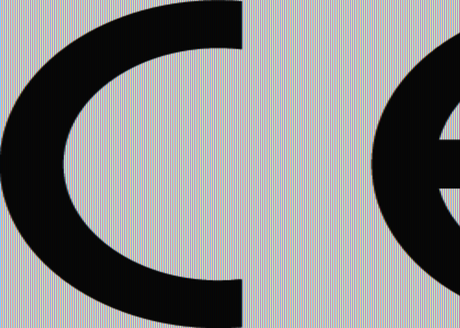 Cover grilles have not been considered for the pressure loss values. The extra zeta value applies to air transfer including two cover grilles and for exhaust with a cover grille. 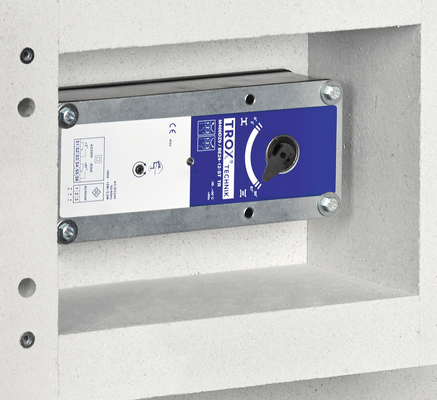 Rectangular or square smoke control dampers to product standard EN 12101-8, tested to EN 1366-10 and EN 1366-2, for use in smoke extract systems. Smoke control dampers not only prevent the spreading of smoke and combustion products between fire compartments, they also prevent the leakage of emitted, dangerous and poisonous fire suppression gases from the affected area, and they maintain positive pressure in pressurisation systems. The EK-EU is suitable as a pressure relief damper for gas fire extinguishing systems. For extracting smoke gases and for providing additional supply air to one or more fire compartments. The EK-EU can be used in smoke extract systems which have been approved for extract ventilation. 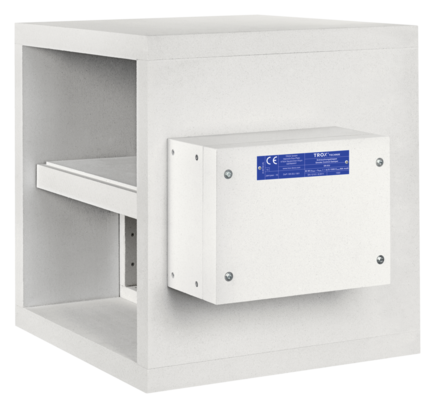 The fire-resistant smoke control damper for multiple compartments is suitable for installation in solid walls and ceiling slabs as well as in and on fire-resistant smoke extract ducts. Open/Close actuator, with fully wired and ready-to-operate control module AS-EM/EK, AS-EM/SIL2 or BKNE in a temperature resistant encasing (optional).